Telenor Connexion will enable Nissan LEAF owners to use a mobile phone or PC to check battery status and range, to turn on vehicle's air-conditioning etc. even when their Nissan LEAF is parked and completely switched off. This is the first time connectivity becomes a standard in an electrical car. Nissan LEAF was awarded "European Car of the Year 2011". Telenor Connexion has been chosen as the European connectivity supplier for Nissan LEAF's "CARWINGS" intelligent transport (IT) system, allowing connection between the electric car's sophisticated onboard transmitting unit and Nissan's CARWINGS Data Center. Thanks to Telenor Connexion, owners of the 100% electric vehicle will have access at all times, both on and off board, to the data and information they need for greater convenience, comfort and peace of mind. Unique features of the Nissan CARWINGS system include electric vehicle battery state monitoring, usage history and air-conditioning remote control. This is made possible by seamless communication between the vehicle and people via mobile networks and PCs. Telenor Connexion's dedicated telematics solution connects Nissan LEAF's onboard unit to the Nissan CARWINGS Data Center in a private network environment allowing Nissan to deliver a secure and stable product to our customers, says Pierre Loing, Vice president of product strategy and planning at Nissan International SA and head of the company's European zero emission business unit. Nissan International, located in Rolle, Switzerland, is the headquarters of Nissan in Europe. We are very excited to work with Nissan, who is playing a major role in setting a standard for the whole EV industry. This agreement is the start of what we expect to be a long-term partnership. It is of significant value for Telenor Connexion, but above all it reinforces our position as the leading connectivity supplier in the automotive industry. We already have agreements with major global automotive players such as Volvo Cars, Volvo Trucks, Scania and Daimler, says Per Simonsen, CEO of Telenor Connexion. 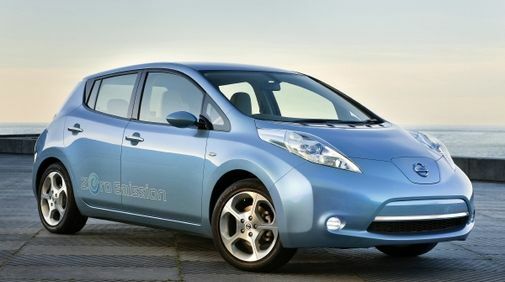 Nissan LEAF was awarded "European Car of the Year 2011" and is the world's first mass-production, 100% electric, zero-emission car. The new EV will be on sale in Europe early 2011 with the first deliveries to Portugal, Ireland, the UK and the Netherlands.